A three-sport standout and two-sport All-Scholastic, Alison Furey went on to earn multiple National Championships at Williams College before returning to CCHS as a guidance counselor and coach. 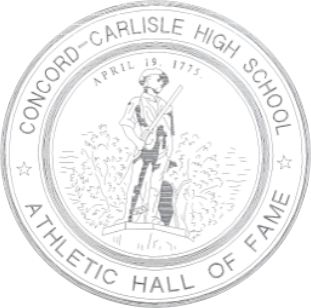 The daughter of beloved long-time CCHS teacher/coach Robert “Doc” Furey, Alison and brother Joel grew up not far from Concord Center, playing a variety of youth sports and spending her winters on the ski slopes of Northern New England. 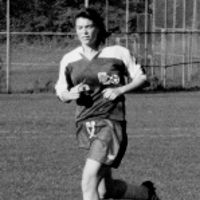 Furey arrived at CCHS in the fall of 1991, and in soccer was a three-time letterwinner for coach Karyn Hesse, playing on some solid tournament teams. In skiing, Alison was part of the Alpine Varsity for four years and the Nordic Varsity as a freshman and sophomore. The State Alpine Champion as a junior and senior, Furey was named Boston Herald and Lowell Sun Skier of the Year as a senior and won the prestigious Skimeisterein Award as a sophomore as the League Champion in combined alpine and Nordic. A two-time Herald All-Scholastic, Furey was a Mass Bay Ski League Alpine All-Star all four years, an MBSL Nordic All-Star as a sophomore and was named to the MBSL Combined All-Star as a freshman and sophomore. The Bay State Games champion in 1994 and 1995, Furey was a four-time participant in the Junior Olympics and was a member of the NH State Team from 1992-1995. Spring saw Furey outside on the lacrosse field playing three years of varsity for coaches Donna Gilbert and Jennifer Greeley. A three-time DCL All-Star, Furey was a Boston Herald and Lowell Sun All- Scholastic as both a junior and senior. Following graduation, Furey followed her father and brother to Williams College, where she continued both her lacrosse and skiing careers. A four-year member of the Varsity Alpine Ski Team, Furey helped lead the Ephs to NCAA National Championships in 1997, 1998, and 1999. In lacrosse, Furey was a part of teams that won ECAC Championships in 1996 and1999 and finished as NCAA Division III Championship runner-up in 1998. The 1996 team was ranked #1 Nationally and was the first team to be inducted into the International Scholar-Athlete Hall of Fame. Individually, Furey was honored as a NESCAC Scholar-Athlete in 1998 and 1999 for skiing and lacrosse and as a Williams Scholar-Athlete for three years. Furey has returned back to CCHS where she is a School Counselor and has rebuilt the CCHS girl’s lacrosse program back to statewide prominence in her four years as head coach. Her 2009 team went 17-2, losing to perennial power Framingham by one goal in the state quarterfinals. She currently resides in Quincy, MA with her boyfriend, Chad Jones.